The Classic Watch Buyers Club Ltd. 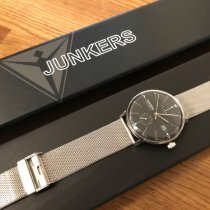 The Junkers series have made the best use of historic aircraft and cockpit designs to come up with a unique line of watches. 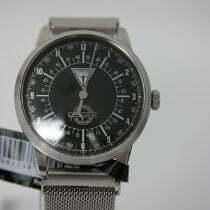 The Junkers Watches are produced by POINTtec. It is a German company that also produces two other lines of watches, namely the Zeppelin and Maximilian series. The inspiration behind the Junkers watches has its base in the legendary corrugated sheet aircrafts of the same name. These were first conceptualized and introduced by aviation visionary Hugh Junkers. POINTtec has introduced a line of Junkers aero plane watches, which have been carefully designed to include the smallest details of the planes in order to honor the outstanding achievements of Junkers. 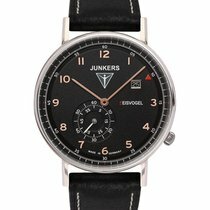 Therefore, the magnificent Junkers watches bring alive the Junkers aircraft history. The aviation inspired watches, which take lots of ideas from cockpit designs, are therefore unique in their form. In fact, the company has been bestowed with the prestige of supplying to the Bundeswehr, which is the Federal Troops of the National German Military Services. It is interesting to note that the models of the Junkers watches have their namesakes in famous designs from early aviation history. 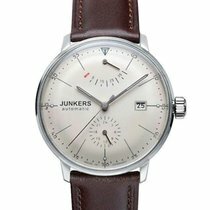 The Junkers series of watches for men include collections like the Tante Ju, Hugo Junkers, Cockpit JU52, Junkers Bauhaus, Spitzbergen F13, 1st Atlantic Fight East West, Iron Annie JU52 Chronometer Glashuette, Iron Annie JU52, Horizon, Dessau 1926 Flatline, Corrugated Sheet JU52, World Flight Records G38 and Elevator Record Flight F13. The specifications of each of these models and their sub models include movements that vary from the mechanic hand wound or self-wound to quartz controlled styles. The various models may also have additional features like chronograph, alarm chronograph, 12 hours totalizer alarm chronograph, seconds totalizer chronograph or 10th chronograph. The presence of 4, 5, 21, 24, 25, 26 or 27 jewels adds more style to the watches. There are also details like a big date display, big date dual time with freely adjustable second time, big date power reserve indicator, 12 hours totalizer, big date, 24 hour display, freely adjustable second time zone or small seconds display. 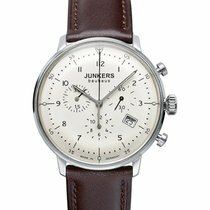 The diameter of the various models of Junkers watches ranges from 39 mm, 40 mm to 42 mm. The cases are made of stainless steel or titanium. Most of them are satined and may include black PVD coating. Some of the watches have a special Junkers crown. A crystal exhibition back with either sapphire or hesalite crystals are a part of many of the watches. 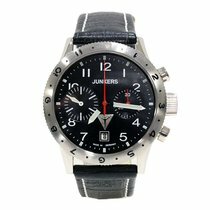 The water resistances of the Junkers watches are usually 3 ATM, 5 ATM or 10 ATM. The dials colors vary from single hues like beige, silver, white and black or have combinations like blue and white, black and white, or blue and black with white. The digits are either in black, luminous, white luminous, orange luminous, anthracite luminous or blue luminous; incidentally the blue luminous shines in the dark. Some of the models are engraved in corrugated sheet style. Additional features may include the presence of markers with or without silver colored Junkers apply, Superluminova indices, green luminous dots, or a fully luminous dial. The Junkers series of watches for women include collections like the Himalaya Pearls Lady, Chronograph F13 Lady, Corrugated Sheet Lady, Junkers Bauhaus Lady, Edition Eurofighter and Junkers G38. The specifications of each of these models and their sub models include movements that vary from the mechanic self-wound to quartz controlled styles. The various models may also have additional features like Chronograph, 12 hours totalizer, the presence of 1 or 5 Swarovski Crystals or 25- 26 Jewels. Some even have a weekday indicator or month and power reserve indicator. The diameter ranges from 34 mm, 35 mm, 36 mm to 42 mm. The cases are made of stainless steel with satined or polished finish. Some of the watches are rose gold coated and may feature a coin edge. A few of the sub models even have a black DLC coating. A balloon crown or steel bezel is seen on quite a few of the watches. A crystal exhibition back with either sapphire or hesalite crystals are a part of many of the Junkers watches. The water resistances of the Junkers ladies watches usually vary between 3 ATM, 5 ATM or 10ATM. The dial colors are available in beige, black, white and silver or a combination of black and white. The digits are either in anthracite, gold, rose gold, black, white, white luminous, green luminous or feature a blue luminous one which shines in the dark. Further features may include the presence of green luminous dots, SuperLuminova indices, markers that may feature gold or silver colored junkers apply, a fully luminous chronograph eyes or a fully luminous dial.